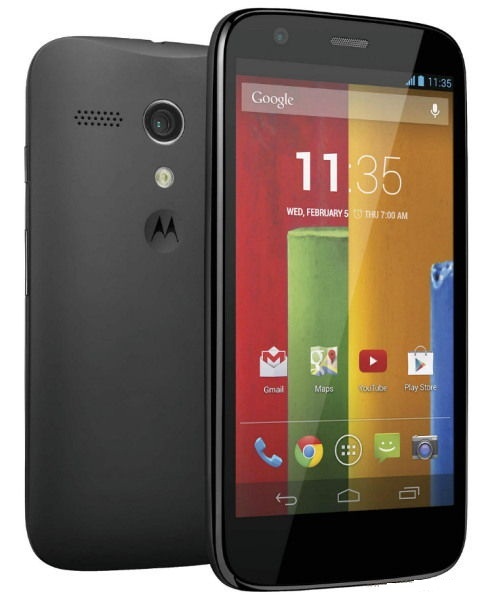 After a long await Motorola launched its android smartphone MOTO G in India. It comes in two versions of 8 GB and 16 GB of storage. Moto G has 4.5 inches screen with 720 pixels resolution. Phone is powered by 1.2GHz quad-core Qualcomm Snapdragon 400 processor Adreno 305 graphics. One GB RAM is used in it. The phone runs on latest Android 4.4 (KitKat) operating system. MOTO G comes with 5 megapixels back camera and 1.3 megapixel front camera. The phone includes non-removable Li-Ion 2070 mAh battery. The 8 GB and 16 GB version phones are priced at Rs 12 999 and Rs 14 499 respectively. Phones will be listed on Flipkart after 12AM IST, Feb 6.